Famed Swiss watch manufacturer Swatch has revealed it's ready to enter the smartwatch game but not in the same way as Apple, Samsung, Sony, LG, Motorola and Pebble have. 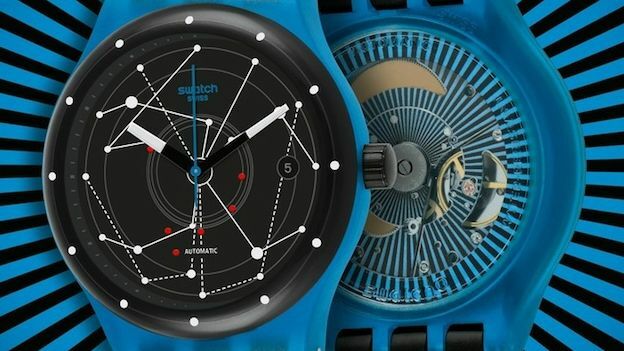 Swatch has revealed it will be expanding into the smartwatch game, but it will be creating a stealth version unlike those created by the big guns of Apple, Motorola or Samsung. According to Swatch's chief executive the company will introduce wireless communication technology behind the scenes to offer its smartwatches functionality without sacrificing style. Select Swatch watches sporting NFC chips are due to land in May, allowing for a variety of features including contactless payments and the ability to open compatible locks such as those in a hotel room. Swatch also plans to introduce Bluetooth watches this summer, allowing it to sync with your smartphone and display updates such as text messages or other notifications. Tasteful smartwatches are something we've yet to properly see with the designs all being pretty thick and blocky, whilst some are just downright ugly bricks. A Swiss watch maker getting involved and keeping the design traditional will mean a stylish timepiece for your wrist without sacrificing the super cool functions of a smartwatch. Another big difference here will be battery life. Swatch believes its expertise in manufacturing “ultra-low power” watches will give it a big advantage over other smartwatch manufacturers. Recharging a smartwatch every night is one of the major bugbears of wearing one, so imagine if a smartwatch would last months rather than hours. That paired with the style of a traditional watch is getting us just a little excited.